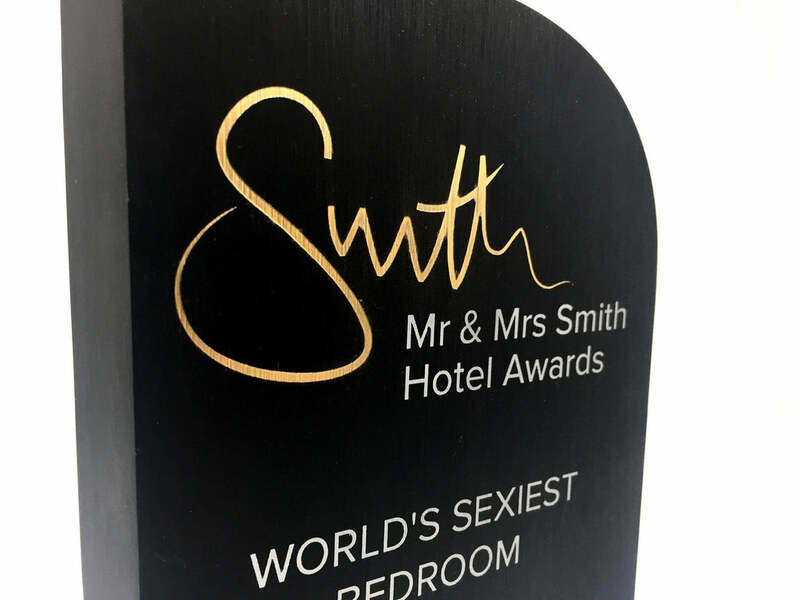 Do not disturb! 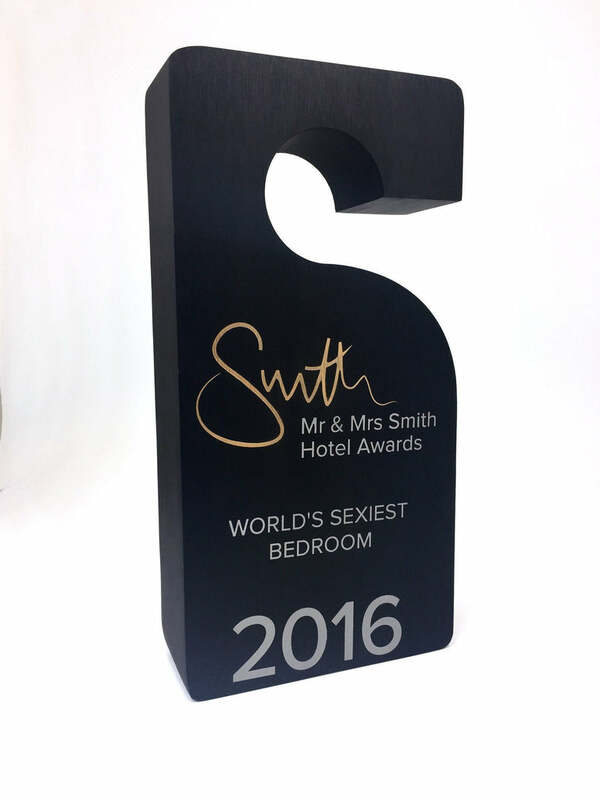 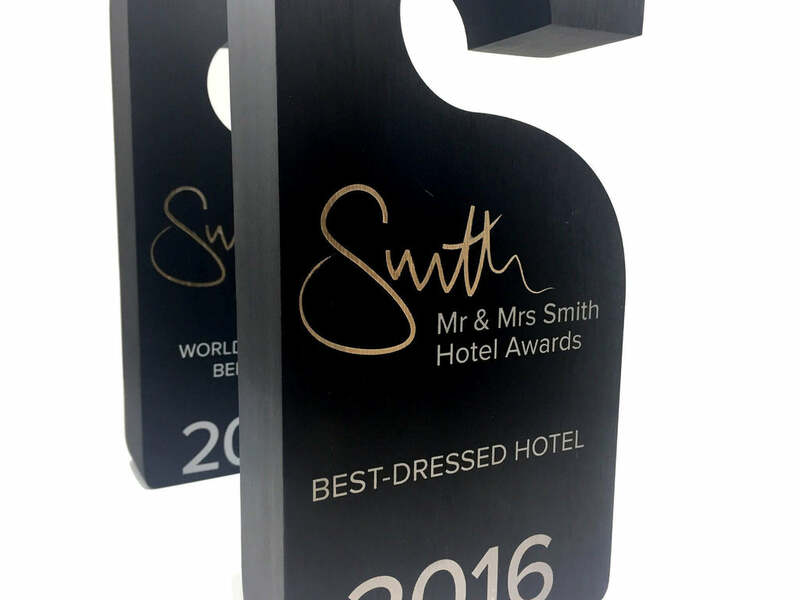 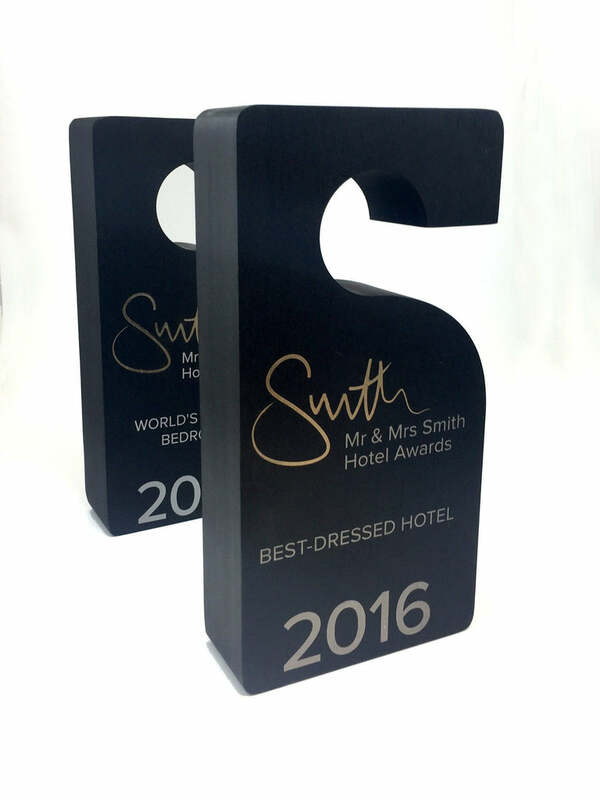 Commissioned especially by Mr and Mrs Smith, the prestigious award ceremony recognises excellence within luxury and boutique hotels worldwide. Cut from thick aluminium, the body of the award forms a door hanger. 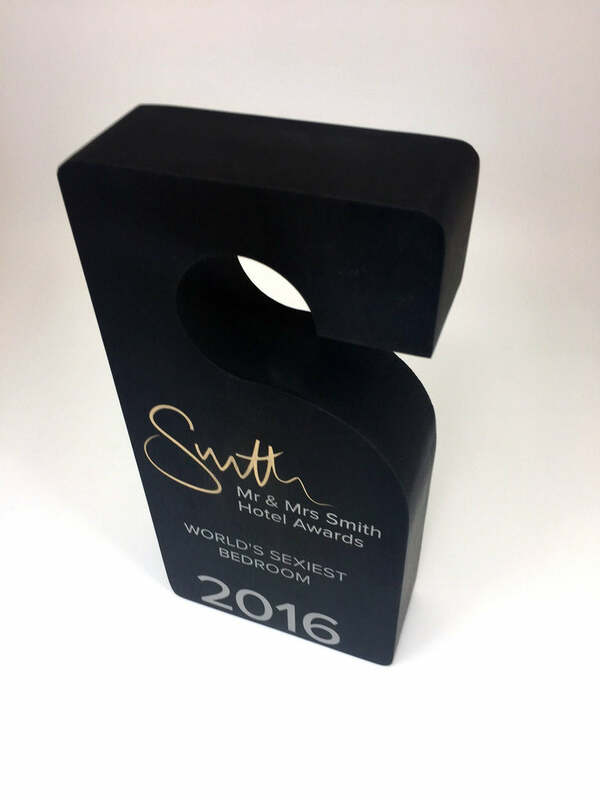 Details are engraved into the surface of the custom award revealing the silver aluminium underneath. Finished in gold leaf, the company logo sits firmly at the heart of the award.